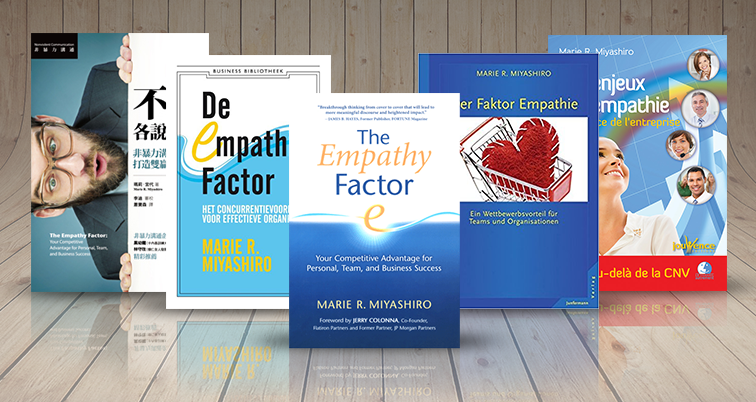 Since the publication of The Empathy Factor in English, French, German, Dutch and Chinese, keynote speaker Marie Miyashiro delivers uncommonly authentic, practical and enjoyable keynote talks, transformational training, and leadership coaching around the world. Long before empathy in the workplace was popular, Marie named it as a critical skill for the 21st century workplace. Now an internationally recognized thought leader in the field of human connection at work internationally recognized thought leader in the field of human connection at work, she helps leaders and teams combine empathy with organizational needs for progress and growth. 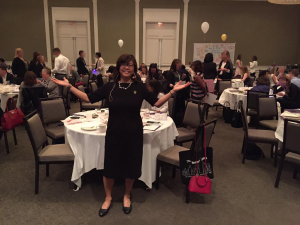 From Las Vegas conventions to leadership organizations around the world, keynote speaker Marie Miyashiro’s engaging, bold, and light-hearted keynote talks are in demand. Participants walk away with a practical understanding of the value of empathy and how to put in into practice in simple, repeatable and powerful ways that produce results at work and in their personal lives. Human connection based on empathy is the foundation of high performing teams that understand their own needs and those of customers. 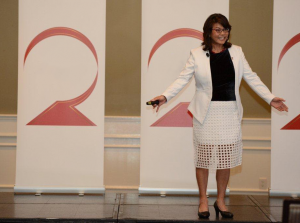 Keynote speaker and trainer Marie Miyashiro blends empathy with organizational drive, helping leaders create a culture of practical empathy that leads to happier, more motivated employees, loyal customers, productivity and profit. Her custom solutions are repeatable, scalable and transferable. What would you love your work life to look like and sound like? What are you passionate about? What would you do as your best leadership self? Being a leader can be a lonely experience. Research reveals the importance of a confidential space in which a leader is listened to and inspired, and where he or she can share concerns, ask questions and learn how to be their best selves. 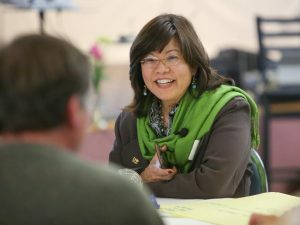 In Marie Miyashiro’s coaching program, leaders and team members learn to connect with what matters to them as part of developing resiliency, wisdom and vision. Today, customers demand authentic communication and personalized service and employees want their work to be meaningful. Too meet these needs and more, keynote speaker Marie Miyashiro guides teams and leaders using her field-tested approach to empathy to transform workplaces bottom up and top down, and bring out the best in people. People can be skeptical about empathy in the workplace because they mistake it for softness or permissiveness. However, it’s vital to realize that deep empathic connection and true compassion are not about being nice. Instead, they’re about engendering both personal and group responsibility to effect change and put organizational strategies into actions that get results. Thankfully, putting oneself in someone else’s shoes can be learned. While basic empathy is natural to human beings, actionable empathy is cultivated. The highly regarded nonviolent communication process developed by Marie’s teacher Marshall Rosenberg, Ph.D. helps individuals develop basic and higher forms of empathic connection; Marie’s approach builds on Dr. Rosenberg’s work by bringing these concepts to teams and organizations. By changing what we say, we change the way we think and see our work and ultimately, our world.